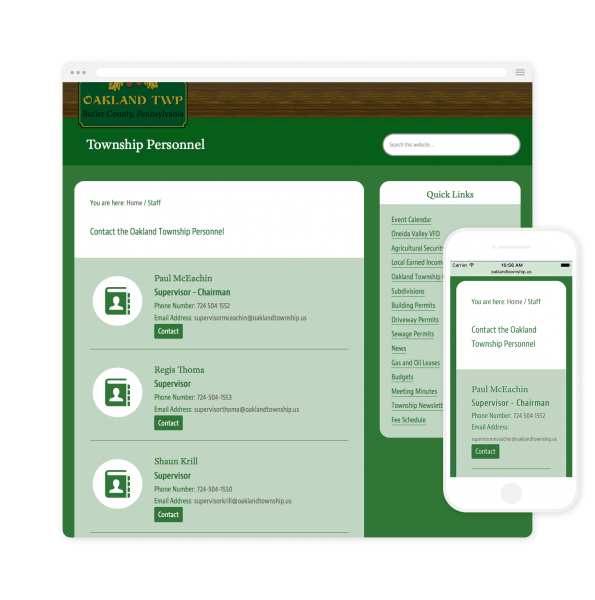 Each of the Township Personnel was assigned their own email address with the new web site and they each got their own contact form on the web site. The phone numbers and email addresses are touch and click enabled for fast contact solutions. Also when clicking the contact button you are directed to the contact form for the chosen person. 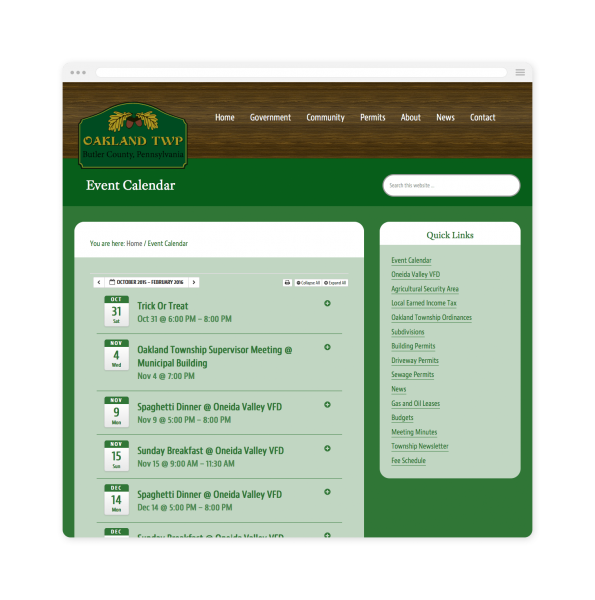 A simple event calendar that is easy to navigate and easy to manage. 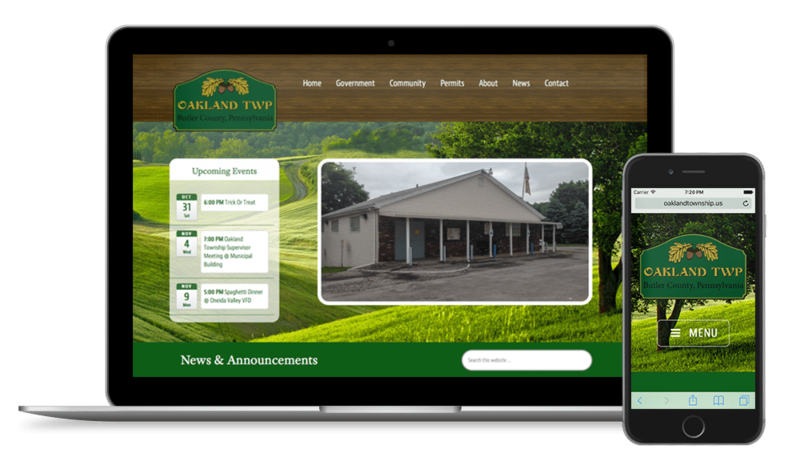 Each event time, date and location are shown on the archive page, and each event opens in to a single page with a full description, images, and a map if chosen.